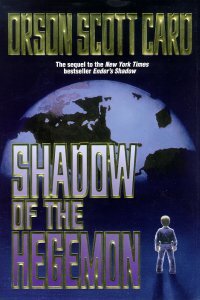 Description: Shadow of the Hegemon is preceded by Ender’s Shadow and is followed by Shadow Puppets. “The Formic War is over, won by Ender Wiggin and his team of precociously brilliant child-warriors. The enemy is destroyed, the human race is saved. Ender himself refuses to return to the planet, but his crew has gone home to their families, scattered across the globe. The Battle School is no more.